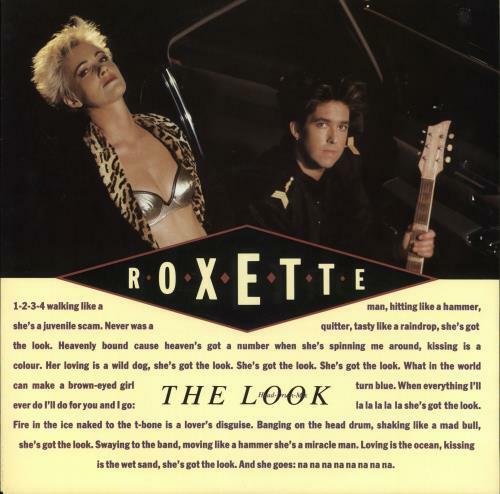 ROXETTE The Look (1989 UK first issue 3-track 12" vinyl single taken from the band's Look Sharp album, including Head-Drum Mix and 7" Version plus Demo Version of Silver Blue. Both the glossy picture sleeve and vinyl remain in excellent condition 12EM87). or visit our Roxette image gallery.